It’s time for the Week Five Weigh-In if you’re participating in the 2019 Keto Challenge. You can post your progress in the group thread, or here on this post if you prefer. It’s never too late to join in! See the challenge details here. I just got back from the Metabolic Health Summit so I have LOTS of interesting updates & information to share with you! The next BIG event I’ll be attending is KetoCon in late June which will be in Austin, TX. I’ll tell you all about it in my next post, why I’m going and what I love most about it, but you can check out KetoCon here for now. There are also three smaller events coming up, hosted by Adapt Your Life, and I’ll be attending two of the three: Nashville Keto Event and the Atlanta Keto Event and there’s also an Adapt Keto Event in Tampa coming up as well. Today you can get the keto granola 20% off! Sherry added the extra discount to my link, good now through Thursday at 11:59pm eastern. I didn’t want you to miss out on that! ? One of the things I love MOST about attending local meetups and bigger conferences and events is getting to spend time with the people I’ve met online, plus meeting so many new & interesting people! I got this dress on Amazon and I love it. I have two actually, in different colors, because they’re so comfortable and pack well (no wrinkling!). Plus they’re very flattering. ? 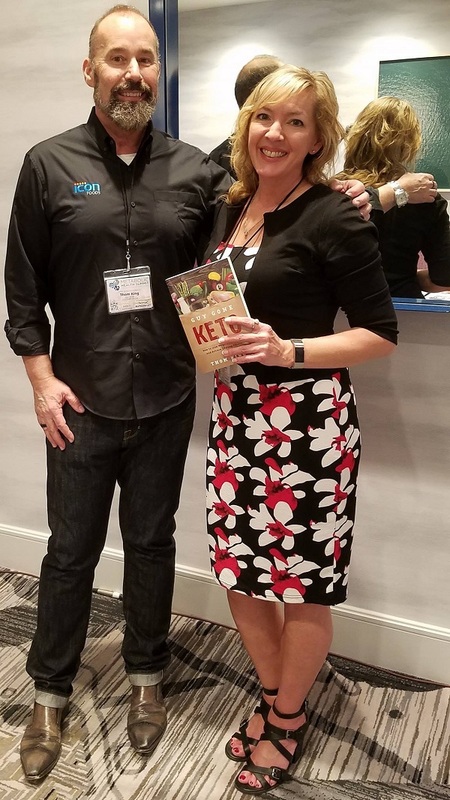 I have lots more fun updates for you including what I ate, what I learned, and what I’m going to be testing next in my own keto journey – all based on interesting conversations and presentations at the Metabolic Health Summit. I just got in late Monday night, and woke up Tuesday morning with a head cold. So I’m jetlagged AND sick, lol. Ugh! There were four people sitting all the way around me on my flight home coughing nonstop. Lovely. ? I made my favorite cheesy eggs yesterday, and this morning I made the keto biscuits & gravy – both very nice comfort foods when you’re not feeling well! And last night I made a bowl of “keto cereal” out of Lolli’s Low Carb Granola. Enjoy the 20% off discount on that granola – it’s good today and tomorrow, through Thursday at 11:59pm eastern time. The Cinnamon Pecan Crunch and Peanut Butter Macadamia are my two favorite flavors. p.s. 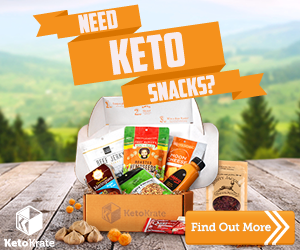 My Keto Krate is set to arrive today and I can’t wait to see what’s in it this month! Stay tuned – I’ll do my usual value breakdown on it so you can see what all is in the box, which is always a great way to find new low carb snack ideas. ?